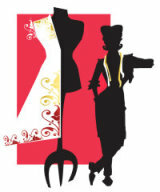 Independent Wedding Dress Alteration Specialist Or Bridal Shop Seamstress? Which Is Best An Independent Wedding Dress Alteration Specialist Or The Bridal Shop Seamstress? They have as much experience working with bridal gowns as a bridal shop seamstress. In most cases more. Why do I say that? Did you know that bridal shops will only alter gowns purchased in their shop? Most shops will not alter bridal gowns bought from out side their store. If you buy a gown online or out of town, don't be surprised if the local shop will not alter it for you. Most cases though... the bridal shop seamstress will be fine to use. Just don't take for granted that the person working on your dress is experienced. Ask them how much experience they have. Or if you know that you have major fitting challenges... then you need to consider taking your dress to a specialist. "Remember you have made a large investment in your wedding gown, so make sure that you use the most skilled person to work on it." I have to mention this tidbit. 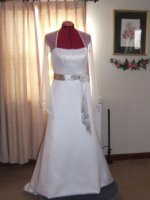 The " best" sewing professional to alter your wedding dress is one who has experience as a wedding dressmaker designer combined with wedding dress alteration experience. You have to know how to construct a wedding dress in order to know about these techniques. Someone who only knows how to alter wedding gowns "would not" have these skills. Plus... as an added bonus---you save money on your alterations, because an independent seamstress charges are usually more affordable than the bridal shop.